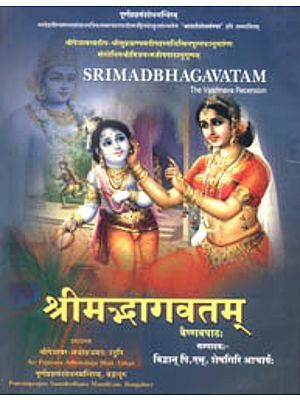 Srimad Bhagavata is Krishna’s very own representative-” Krishno Bhagavata svayam”. It is stated in the first skandha of Bhagavatam- “Now that Krishna has returned to His own abode, along with dharma and knowledge, etc ... this Purana has risen like the sun for those bereft of guidance in this Kaliyuga. Even after manifesting the eighteen Puranas, and composing the Brahmasutras and Mahabharata, Veda Vyasa was still not content. 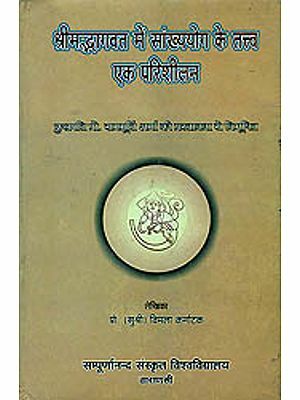 He wanted to composed a book which would serve as a natural commentary on his own Brahmasutra, the essence of Upanishads, revealed to him in Samadhi. 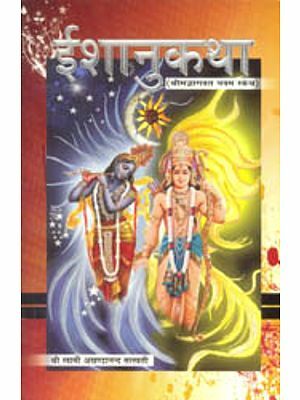 Vyasa was advised by Narada the celestial sage to compose a Purana describing the marvellous exploits of Lord Sri Krishna to dispel mental depression. Thus was born Srimad Bhagavata in which all that is needed to be known from the Upanishads is revealed in a manner which alone illustrates the common significance of all the scriptures. It is seen as an elaboration of the Gayatri mantra, the mantra, characterized as a concise statement of the significance of all the Vedas. Its true nature has thus been described in the Matsya Purana: “That is to known as the Bhagavata, which, basing itself and elaborating on the Gayatri, describes dharma in all its fullness” speaks volumes for the greatness of the Srimad Bhagavata. The Supreme goal of life according to Vedas is attainment of the knowledge of the Supreme Truth. That the Absolute Truth is also the essence of this Purana can be inferred from the fact that Vyasa, first offers his respectful obeisance unto the param satyam (Absolute Truth). The term is used to refer to that Supreme Godhead who is beyond all the measures of adjuncts and is the ultimate source of all energies. It is a ‘navanita’ or butter secured by churning the milky ocean of the Vedas and rendering it fit to be relished by the likes of scholars as well the laymen alike. 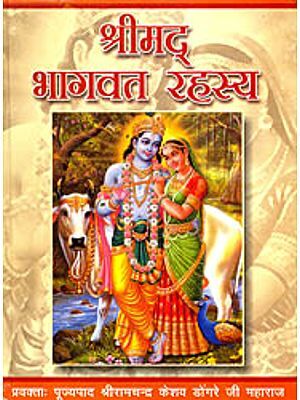 Further, the Srimad Bhagavata is regarded as the repositary of Bhakti (devotion) Doctrine with all its varieties and manifestations. Hence it is rightly called as the Bhakti Bhashya. Another importance of Bhagavata lies in the greatness of the person who revealed it and the audience in whose august presence it was brought forth. To listen to Shuka, there came with their disciples great ascetics and sages like Atri, Vasishtha, Chyavana, Sharadvat, Arishthanemi, Bhrugu, Angirasa, Parashara, Vishvamitra, Parashurama, Utathya, Indrapramada, Idhmavaha, Medhatithi, Devala, Arishtisena, Bharadvaja, Gautama, Pippalada, Maitreya, Aurva, Kavasa, Agastya, Vyasa himself, the venerable Narada, as well as other devarishis, brahmarishis and others. 1. Firstly, one should call a person who knows about astronomical calculations and find out the appropriate time to start the discourse. The money equivalent to that required for a marriage should be accumulated for conducting the same. 2. For starting the discourse the months like Proshthapada,Ashwina, Karttika, Margashirsha, Ashadha and Shravana - these six months - are more appropriate for getting the required benefit of Mukti to the listeners. 3. The information as to the fact that at such and such place there is going to be a discourse of Srimad Bhagavata is to be notified publicly at all places in the village/town requesting each and every one, along with families, to come and attend and participate in the discourse. 5. The discourse can be held on the bank of any sacred river, in temples, in gardens, or eve in one’s own home. Whichever place is vast, and free from materialistic disturbance, such a place should be selected for the discourse. A beautiful stage for the purpose of delivering the discourse should be erected duly adorned with the positioning of plantain trees tied with the pillars of the stage. 6. On that stage, with the imagination of having seven worlds over there, only seven broad rows of seating have to be set. The seating of persons on these seven rows should be set in advance in such a way suiting their respective eligibility as to their own occupations. Thereafter, the raised special platform for the main discourse deliverer should be properly set. 7. If the main discourse deliverer is seated facing the north direction, the other listeners on the stage should be made to seat facing the east. If the discourse deliverer is facing the east, the listeners should face the north. 8. He should finish his daily ablutions and worship Lord Ganesha with the purpose of ensuring the discourse without any hindrance. Thereafter he should pay obeisance to ancestors, offer repentance prayers for eradication of all his sins. Thereafter he should invoke Lord Krishna and position Him over a flower which has eight petals. 9. He should worship the Lord according to the prescribed methods of “Shodasha Upachara’ (sixteen acts of homage). 1O. 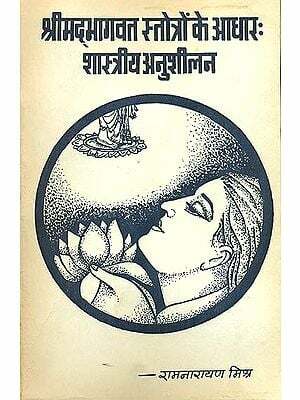 Thereafter, he should worship the book of Srimad Bhagavata appropriately with satisfaction and interest. 11. The one, who relinquishes his thoughts about the world, material wealth, home, children etc. and totally focuses himself, with clarity of mind and thoughts on the discourse, such a person achieves the greatest benefits out of listening to the discourse of Srimad Bhagavata. 12. The discourse deliverer should deliver the discourse starting from the time of sunrise for at least ten and half hours, with clarity of words and with firmness of voice. At noon, for about one and half hours, the discourse has to be given a break. 13. It is advisable to have very light food intake during this period. Therefore, it should be sufficient for the listeners to eat only once a day that too from the offerings made to the Lord. 14. After finishing the listening of the discourse, one should conduct the conclusion of the penance in the prescribed ritualistic manner. 15. At that time the discourse deliverer should present the garlands of Tulsi leaves to all the listeners. There should be songs and praise of the Lord accompanied by musical beats and sounds as prescribed. 16. He should conduct Shanti Homa for having appropriately concluded the discourse. In this Shanti Homa, one should recite each and every stanza from the tenth Volume of Srimad Bhagavata and offer oblations of Kheer (sweetened rice mixed in milk), honey, ghee, sesame seeds, cooked rice etc. Alternatively, he should offer oblations to the fire by just reciting the Gayatri Mantra. This is because, in the philosophical sense, both Srimad Bhagavata and the Gayatri Mantra are one and the same. 17. In case someone who is incapable of undertaking this type of propitiation, he should, for the purpose of deriving the required benefits on conclusion of the discourse, gift the materials required for conducting this propitiation. To remove the ill effects of any lapses in the procedure, one should recite Vishnu Sahasranama. 18. The one who engages in such a recital shall be blessed with true knowledge and he will be relieved of all attachments to this worldly matters. If the Saptaha discourse is conducted in the prescribed manner detailed above it will deliver all the good things for the supreme spiritual attainment. By following these sets of discipline, one can have no fear of any calamity in their life and shall ever enjoy the bliss of Supreme Lord’s mercy. 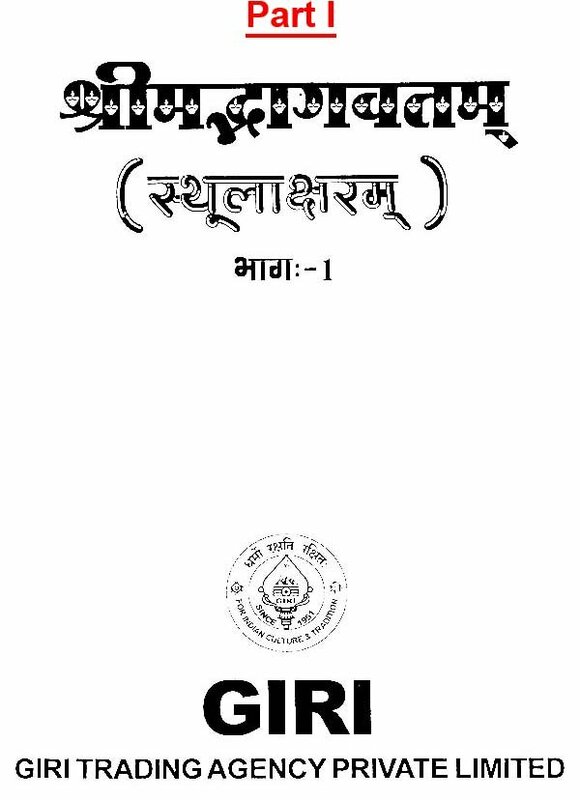 GIRl the pioneer in propagating Indians values and tradition is very happy to offer the text of Srimad Bhagavata, an edition based on the most accepted reading, in bold fonts for the benefit of the devotees. We pray to Lord to bless each and every household where it is kept and recited with reverence.